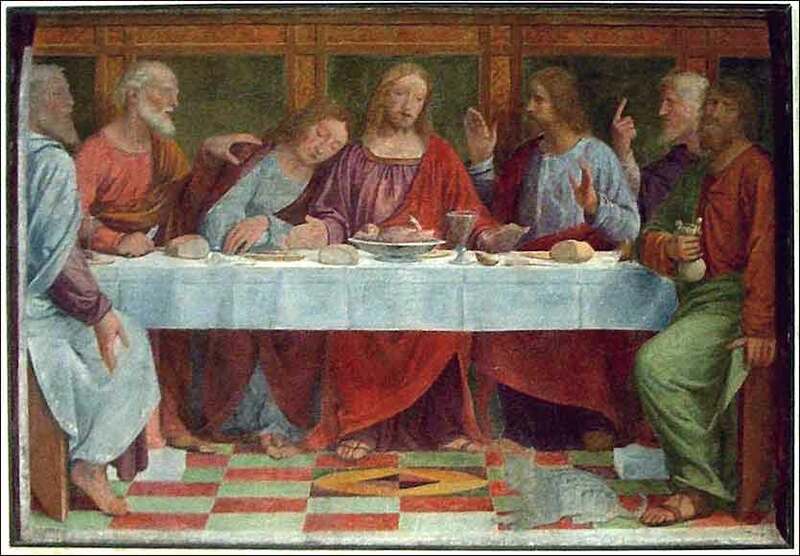 The Last Supper by Bernardino Luini, c. 1530. Having chewed out the members of the Corinthian church in the preceding verses for their selfish, headstrong, and self-indulgent behavior when celebrating the Lord's Supper, Paul now adds a carrot to the stick. He reminds the Corinthians of the beautiful moment that they are celebrating. This moment is central to worship in more liturgical churches, and many believe in transubstantiation, that is, that the bread and wine become the actual body and blood of Christ during the liturgy. 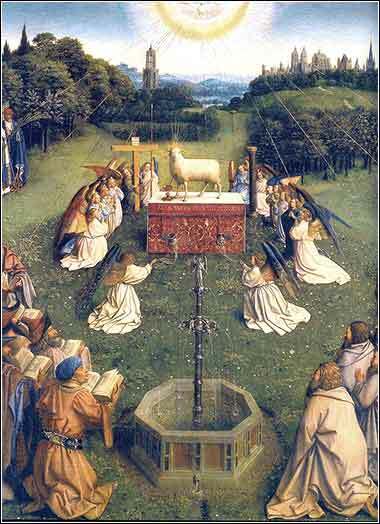 But it is so critical that even very non-sacramental denominations will celebrate it. Baptists and some others, for example, call it an "ordinance of Christ". But the theology hardly matters; for the Bible is silent on the subject, and theology is the product of the human mind. The most important point is that we do it, as Christ asked us to do. So Paul stops chiding the Corinthians and sets them back on the course toward Christ, by eloquently reminding them of the holy mystery of the occasion they celebrate.